In order to build a computer model of the Levitator, and thereby further validate the theory of Radial Momentum, I conduct various tests to determine formulas for the basic behavior of air as it flows through a central orifice and out between the table and the plate. In addition to determining the behavior of air, these tests also provide practice calibrating and using the flow and pressure instrumentation. In these studies, I measure the mass flux rate (kg/sec) that escapes through a round orifice in a plenum, as a function of the pressure in the plenum. The flux turns out to be proportional to the square root of pressure for escape velocities less than the speed of sound. For higher velocities, it increases directly with pressure. Schematic of device to measure flow through a plate valve. Air from the plenum at the left at [P, T] flows through the round orifice with diameter [D] and then through a gap between the plates of width [h]. The bottleneck valve is a ring of diameter [D] and height [h]. The question mark [?] indicates the flux, to be determined. In these trials D = 1/8". Air flows through the flow meter (left), past the pressure meters, into a plenum above the test table and out through the orifice in the table. I use two different tables, with orifice sizes of 1/16" and 1/8". I vary the plenum pressure by adjusting the pump (under the flow meter and not shown). I measure the pressure and mass flux with the gauges. The function turns out to have two different forms, depending on the velocity of flow through the orifice. Air enters the plenum through the hose from the pressure gauge and exits through the orifice in the test table. The plenum is a cylinder about an inch long and 1/4" in diameter. As the pressure varies from zero to about 60 psig the mass flux through the orifice increases. The device is made from smooth acrylic. In this schematic, air enters the plenum from the left, with pressure [P] and temperature [T]. I assume velocity and momentum in the plenum to be negligible. The air evacuates through the round orifice with diameter [D] into ambient condition [P0, T0]. I use two tables, one with D = 1/8" and one with D = 1/16". The question mark [?] represents the unknown, which in this case is the mass flux (kg/sec). As a continuation of the basic tests on orifices, I place a plate at various distances from the orifice as a valve and measure the flux versus pressure. Except at low pressures, the flux turns out to be monotonic with the orifice area. As the pressure in the plenum increases, it pushes air through the orifice at a higher rate so the mass flux rate (kg/sec) increases. The mass flux through at 1/8" is substantially higher than the mass flux through at 1/16". The mass flux for both orifices rises quickly at lower pressures, then less rapidly, indicating a change in function. This chart shows the ratio of the flux at 1/8" versus the flux at 1/16" at various pressures. This ratio stays in proportion at about 4:1. This is also the ratio of the areas of the two orifices. This indicates flux is proportional to area. In order to derive reasonable formulas to plug in to the simulation model to represent the central valve process, I use basic physics, logic and curve fitting. The goal at this point is not to re-invent orifice flow physics so much as to derive reasonably useful formulas. Where p0 is about 100 k-pa. That and a 62% vena contracta coefficient for compacted flow reconciles the data. The combination of these two equations seems to predict the data fairly well over the entire range of observations. Again, the goal here is not to develop defensible orifice physics so much as to derive reasonable formulas to plug into the simulation model. The actual data is shown in blue. At pressures below 100 k-pa, flux is proportional to the square root of pressure (equation shown in green). At higher pressures, it increases directly with pressure (equation shown in red). Another way to view the fit is to plot the model flux against the actual flux. A perfect fit would be a straight line through equal values. The combination of the two formulas appears to provide a fairly good fit for most of the data. 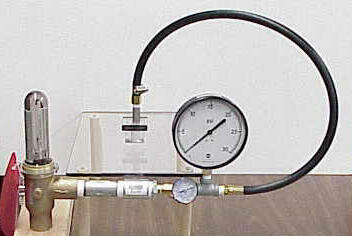 Gauge psig (pounds per square inch, gauge) - reading directly from the pressure gauge. Gauge k-pa (kilo-pascals) - gauge pressure psig times 6895 k-pa/psi. Density - 1.2 kg/m3 times (11.6/14.6 + gauge k-pa / 78.91). At Lake Tahoe, the location of the tests, the ambient pressure is 11.6 psi or 78.91 k-pa. At sea level, the presure is 14.6 psi and the density of air is 1.2 kg/m3 . 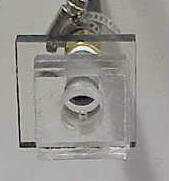 1/16" diameter numerical reading directly from flow meter for 1/16" diameter orifice. 1/8" - same as above. Where Pg is the operating pressure + 11.6 psi, Ps is the base pressure (100 psi) + 11.6 psi, Ts is the base temperature (70F) + 460F and Tg is the operating Temperature, (50F) + 460F. 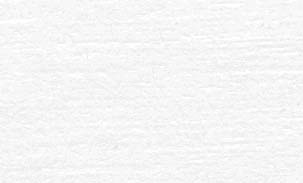 Example, the factor for 5 psig at 50F is f = sqrt(16.6/111.6 * 530/510) = .39316. 1/16" Flux (kg/sec) - base flux (scfm) times 4.5 nt/lb times .07849 lb/scfm / 9.81 m/s2 / 60 s/min converts scfm to kg/sec.